As is often the case, Gigabyte offers one of the most extensive lineups as it's already shipped a dozen Z77 motherboards. 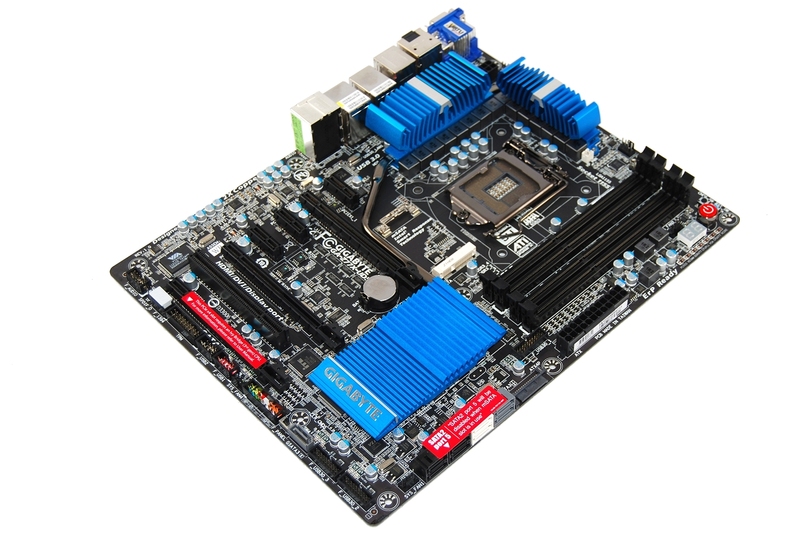 Sadly, the company was missing from our previous (X79) motherboard roundup as it couldn't provide a sample, so we're happy we can include one of its Z77 products this time around. Gigabyte has several Z77 motherboards to be excited about, such as the G1.Sniper 3 and G1.Sniper 3M, but we're most interested in the Z77X-UD5H-WB. Although it's one of the pricier Z77 motherboards available at $230, we think the Z77X-UD5H-WB's price is justified considering its rich feature set. You'll find a mass of onboard SATA, eSATA, USB 3.0, and FireWire ports, three PCIe x16 slots, high-quality audio, plenty of display outputs, as well as a PCIe add-in card supporting Bluetooth 4.0 and Wi-Fi. 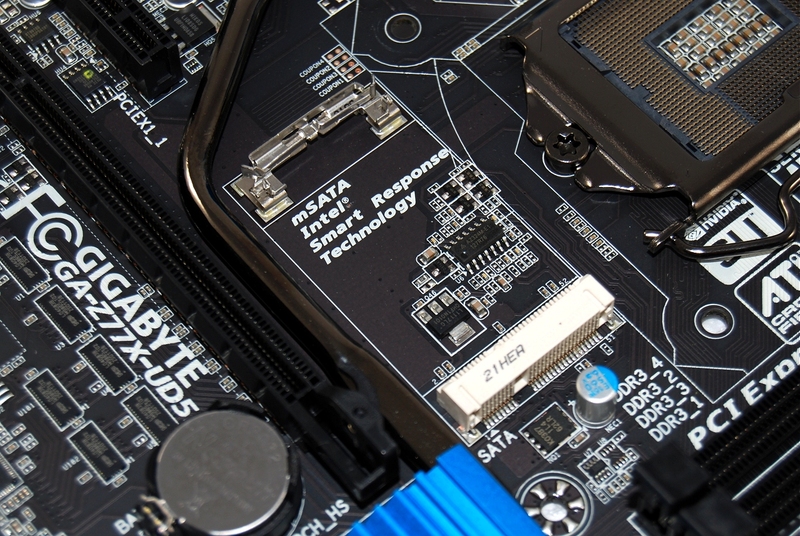 No other Z77 motherboard we've seen so far matches the Z77X-UD5H-WB in terms of raw features. It is worth noting there's a non-WB version (Z77X-UD5H) that lacks the PCIe x1 card and costs $190, in case you don't need the Wi-Fi and Bluetooth support. The Z77X-UD5H-WB uses the same PCIe x16 configuration as the Asrock Z77 Extreme6, supporting both AMD Quad CrossFireX and Nvidia Quad SLI via two PCIe 3.0 x16 slots, which run at x8/x8 when both are occupied. 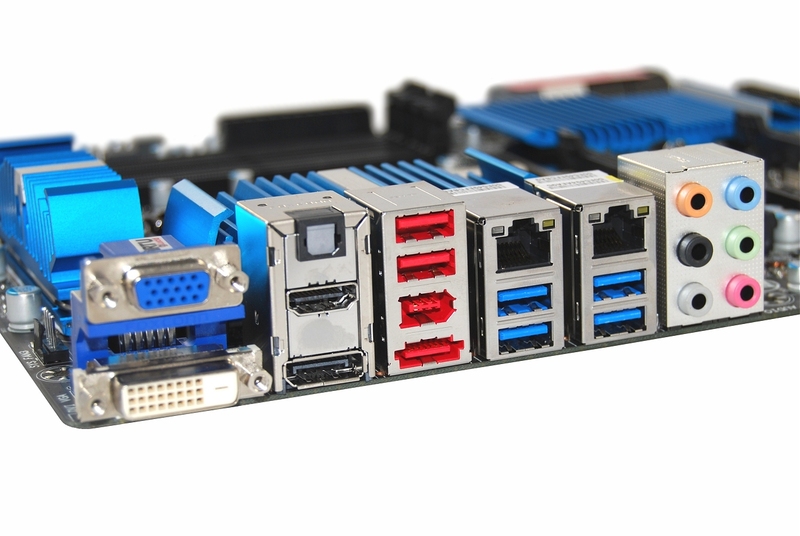 The third PCIe x16 slot supports the older 2.0 standard and is wired for x4 bandwidth. Gigabyte's board has four DIMM slots for up to 32GB of RAM running at 1066, 1333 and 1600MHz while 2133, 2400 and 2800MHz are possible via overclocking. 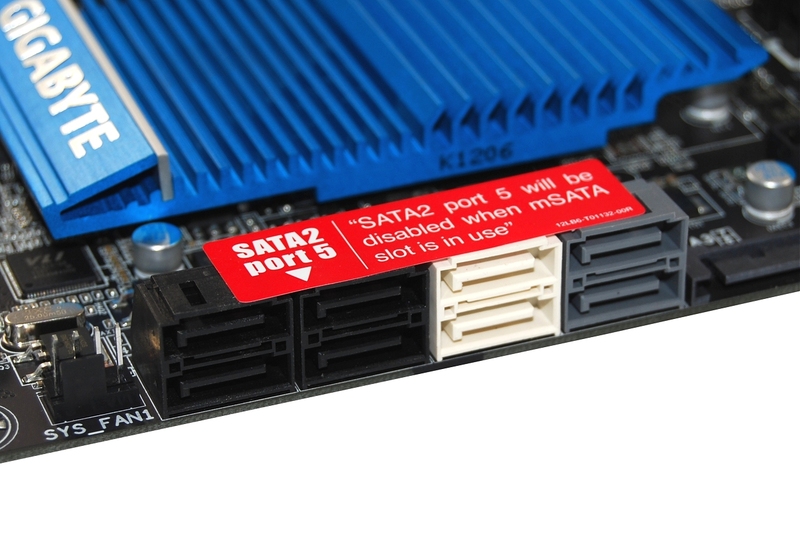 Whereas the Z77 provides six SATA ports (two 6Gb/s), Gigabyte includes two Marvell 88SE9172 6Gb/s controllers for another four ports: three are onboard and colored gray, one is used for eSATA on the rear I/O panel. Network connectivity comes from two different Gigabit network controllers, being the Atheros AR8151-B and Intel WG82759V. 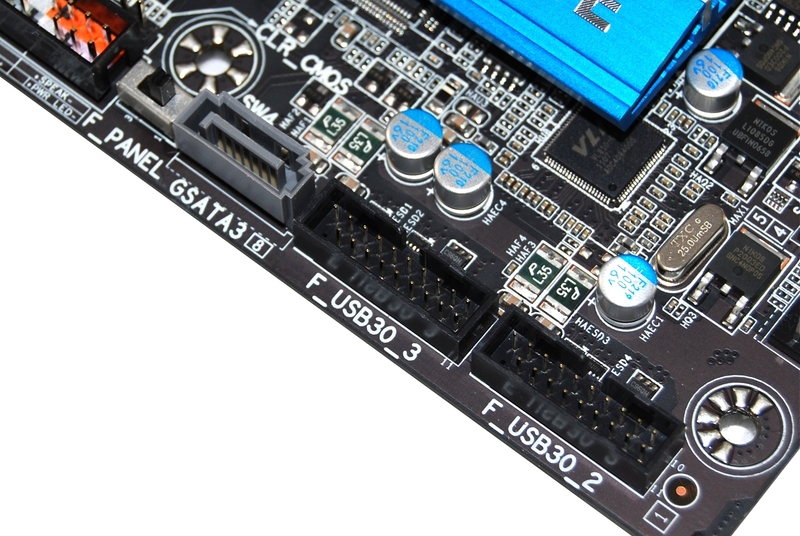 Although we love the fact that Gigabyte includes dual Gigabit LAN support, the board lacks features such as teaming because the controllers are different. A minor complaint. The Z77X-UD5H-WB carries six USB 2.0 ports (two on the I/O panel, four via headers), as well as 10 USB 3.0 ports (four in back, six via headers). Intel used two VIA VL810 Hubs to turn the Z77's four USB 3.0 ports into eight. While one of the legacy PCI interfaces is connected to the VIA VT6308S, another provides a traditional PCI slot. 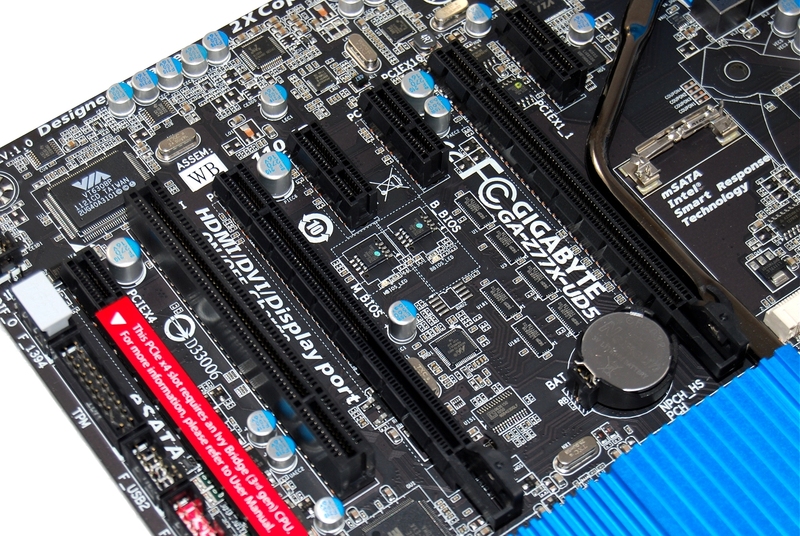 Still, the good news is Gigabyte has included three PCIe x1 slots, giving the Z77X-UD5H-WB a more modern feel compared to other Z77 motherboards in this roundup. The Z77X-UD5H-WB features a 12 phases for the CPU alone while there is also 1 phase for VTT/IMC, 2 phases for iGPU, 1 phase for PCH and 2 phases for memory so in essense this is a 12+1+2+1+2 all digital design. 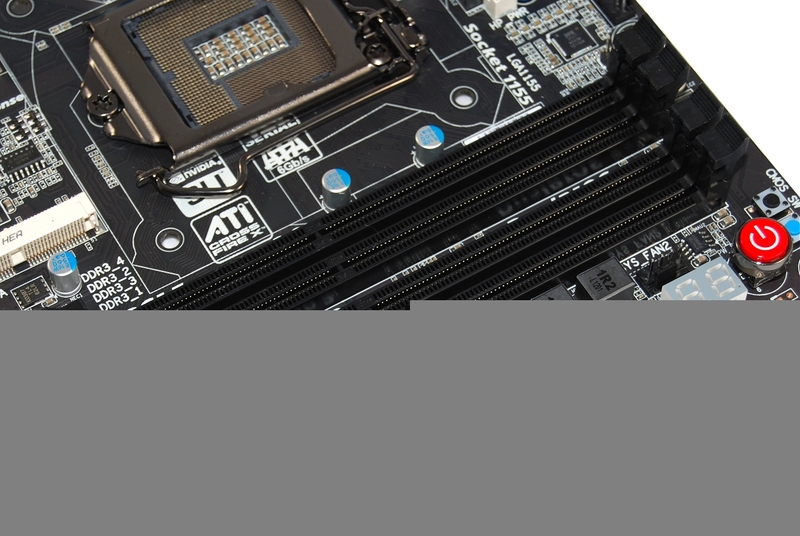 Being an Ultra Durable 4 motherboard, it also has a 2x copper, Glass Fabric PCB, ESD-resistant ICs, all solid caps and lower RDS(on) MOSFETs.